Purchasing a motor vehicle, especially for the first time can be a very exciting experience as you picture yourself in the driver's seat of your awesome new set of wheels that can take you wherever you want to go. While being eager is very understandable, it's important not to make a hasty decision and rush to buy the first car you test drive, only to regret it later on. 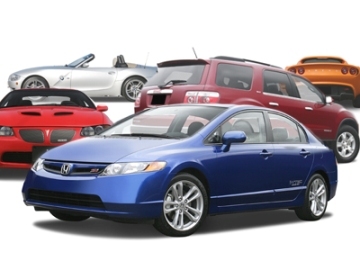 This is not a minor expenditure, so a considerable amount of care must go into selecting a vehicle. These helpful tips will make buying a car for sale in Jamaica easier and if you keep them in mind, you won't overlook any important aspect of this major purchase. Owning a car is an ongoing expense that doesn't end after the seller or the last monthly installment is paid, besides licensing and insurance costs, there is also gasoline and other body fluids, routine maintenance, and repairs. The older the vehicle, the more you will likely need to spend to keep it running. The buyer must ensure that his or her budget can comfortably accommodate these expenses. Everyone has different plans for the motor vehicle they intend to purchase, therefore it is necessary to select a model which can best meet these specific needs. A young single individual may do well with a sporty two-door coupe, but a young couple who are planning to have children would be better off with a larger vehicle such as a station wagon or van. Assessing the number of people likely to be riding in the car and where it will be driven is important to do before looking through the classifieds or heading out to the dealer's lot. The size budget one has allocated to purchase a car depends on numerous factors such as income and savings habits. Some people who have managed to accumulate the required funds prefer to pay cash for their new or used vehicle, while others choose to make monthly payments to a financial institution towards owning the car. This latter option is most often used to cover the purchase of newer, more costly automobiles, although certain criteria must be met in order to qualify and it will end up costing more in the long run because of interest charges. The best way to do this is to look up several performance reports for any vehicle one is interested in possibly buying. The internet has a wealth of information in this respect, available at the click of a mouse. You can look up road test reports, review user's guides, and generally find out what people have to say about the car in question and its pros and cons. When it comes time to check out a car in person, it's a good idea to bring along a mechanic or someone else who is very knowledgeable about cars. Watch for signs of excessive wear on all visible parts, test out lights, horn, windshield wipers and others working parts to make sure they are functioning properly. Take the vehicle for a drive to see how well it performs, to make sure there are no suspicious sounds or vibrations, and to see how comfortable you feel driving it. It's usually best to test drive a few similar cars before settling on one. If you are purchasing a used vehicle, it is wise to check and confirm that the numbers for the engine and chassis on the car match those given in the ownership papers. A motor vehicle must be licensed and registered before it can be driven on any public roads. In order to do this, you will need to present the following documents at a local tax office: Certificate of Fitness, Certificate of Insurance, the invoice from the auto dealer, government- issued ID, and TRN. If transferring ownership of a used vehicle, you will need to supply the following: Certificate of Title, Registration Certificate, Certificate of Insurance, Certificate of Fitness, TRN and government-issued ID. Fees apply for each application and subsequent renewal. If you are about to begin shopping for your new ride, there are tons of places where you will find listings for vehicles being sold privately. Besides the classified section of the Jamaican Newspapers, and those listed on this site, you can also try any of the websites which feature new island-wide listings every day.